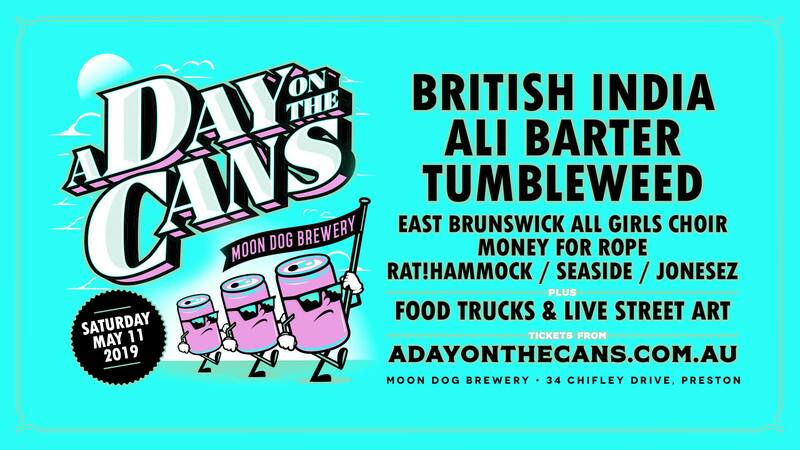 Music and beer industry heavy hitters have combined forces to bring their brand new one-day festival format A DAY ON THE CANS to Melbourne this May, christening Moon Dog’s new craft brewery space in Preston. Quality Aussie acts British India, Ali Barter, Tumbleweed, East Brunswick All Girls Choir, Money For Rope, RAT!hammock, Seaside and Jonesez will all be welcomed into the party-ready Preston property on Saturday May 11 as part of Good Beer Week’s 2019 programming. A Day On The Cans will spread Good Beer Week’s typical city-centric programming into the depths of the Northern Suburbs, taking over the extensive industrial estate which currently lies empty in anticipation of the craft brewer’s imminent expansion. The huge site that sits adjacent to a meandering Merri Creek, nestled in the heart of the North is currently vitally underutilised and absolutely begging for a beginning like this. It’s also brilliantly on brand for the A Day On The Cans concept, which aims to bring music, art, beer and food to stark industrial spaces. Prior to the Melbourne event, A Day On The Cans debuts at the brand spanking new Pirate Life Brewery in Port Adelaide on Saturday March 30th. 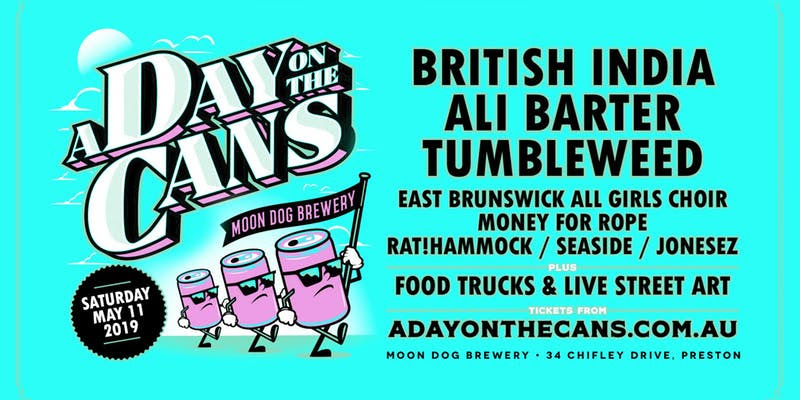 Home to many a hops-lover, Preston will be treated to live music as well as a vast array of brews from Moon Dog, Pirate Life and other local favourites. Live street artists will also be in action, taking advantage of multiple bare walls and structures needing a little bit of life.